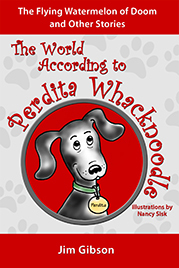 It’s amazing, but Perdita has tons and tons of stories about her family. At least that’s what she says, but Laura thinks there is a pretty good chance that Perdita is making all of it up as she tells it. 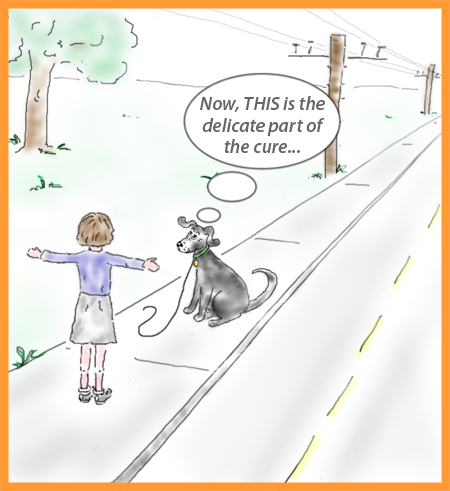 But the stories are so unusual–did you know that dogs have stories about their cousins and uncles and grandmothers, and crazy fathers? Well, Laura didn’t know that, of course, and she wouldn’t have believed it until she heard it right in her own brain, from Perdita’s amazing though-particles. Here are some of the characters you’ll meet in Perdita’s first two books. And . . . we’re absolutely sure you’ve never met any dogs like these! 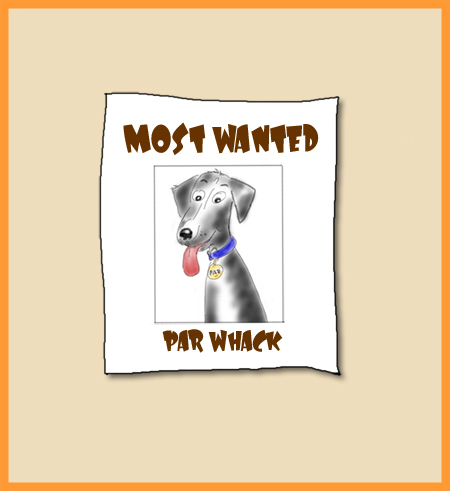 First, of course, is Perdita’s father Par Whack. Laura thinks Par is a scoundrel because he creates so much confusion (and steals so much food! 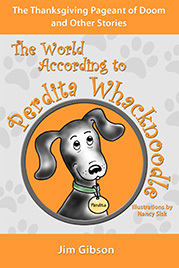 ), but Perdita thinks he’s a famous dog hero. 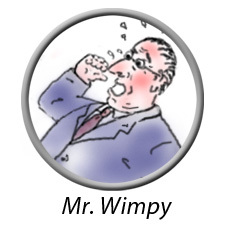 Par has battles with the police, with the evil dogcatcher Elrod P. Sondgrass, and especially with the principle of the school, Mr. Wimpy. Here are the names of a few of Perdita’s stories from her first two books. We think they’re pretty amazing, and we’ll bet you’ll agree. Dog On a Skateboard . . . Going Away Fast! Perdita Spills the Beans . . . Or Does She? Do You Feel Smarter Yet? And . . . this is just the beginning! 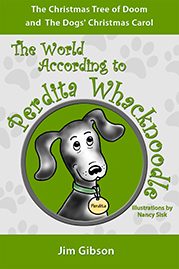 Perdita has LOTS and LOTS more stories about her family.